We started our company back in 2015 under the name Edge Expeditions and ran our first expedition to the remote areas of Tajikistan. Since then we’ve devised itineraries in Kyrgyzstan, Tajikistan, Nepal, Thailand, Turkmenistan, Pakistan, Bhutan, Afghanistan, China, Uzbekistan, Malaysia, Azerbaijan, Iran, Georgia, India, Armenia, Palestine and Israel, Siberia, Jordan, Myanmar, Arunachal Paradesh (north east India), Bolivia and more. We realised in 2017 that our first love was for the countries of the Silk Road and decided the time was right to focus our future on the wider region. Now specialists in this area of the world and reborn as Silk Road Adventures, we have increased the scope and number of trips we offer to the Great Silk Road region and continue to develop new and exciting adventures for our guests to enjoy. We are a small, friendly company and we intend for it to stay that way. But don’t think that small doesn’t also mean professional, obsessively researched and safe – these are things that we hold dear. We go above and beyond to make your trip with us as fantastic as possible. In line with this ethos, we generally only ever travel in groups of ten or less. This way you get properly looked after and there’s room for us all around the yurt fire. We love the countries we travel through and go to great lengths to explore and understand them. We’ll tell you how Alexander the Great’s armies once fought by that river, ride to ruined Soviet observatories miles off the beaten track, tramp up hillsides to Zoroastrian ruins and stay with herders in tiny mountain villages. A handful of our expeditions each year are by led by one of our directors, Marley or Antonia. Others are either led by carefully-chosen experts (such as our Amu Darya and ski-touring expeditions) or by tried and trusted local partners – people who share our own passion about places, people and the environment. We are always clear about whether it’s one of us or a local partner who will be leading each trip. But whoever is at the helm, our high standards and duty of care will remain the same. We love the quirky, the surprising and the unusual – those hidden corners and untold stories in the wrinkles and creases at the edge of the map. And we want to show you these places too. You won’t find us at amongst the yapping, snapping hordes at tourist hot-spots but you will find us nosing around those other ruins over the hill that no one else gets to…. It’s meant to be fun, isn’t it? This travel malarkey often seems to be taken awfully seriously. All those zip-off trousers and technical sandals seem to erode people’s sense of humour. Yes, expeditions are about exploring, experiencing and coming home recharged and inspired, but we also want to have FUN while we’re doing it – and lots of it! Since we began running expeditions in 2016, eighty-five per cent of our customers have already booked to travel with us again, with several people signed up for their third trip with us. So we must be doing something right. Kerry – known to most as Marley – is the MD of Silk Road Adventures, keeping the books balanced and the show on the road. We’re a small company so it’s likely you’ll hear from him when you make contact. Marley has been researching and reading about the history of the greater Silk Road network for many years and has travelled along many of its strands. He’s also fascinated by the route’s many sub-plots, including the Great Game era and travellers such as Marco Polo, Alexander the Great and Genghis Khan. Combined with a natural curiosity about language and a desire to explore anything quirky or off the map, the lands of the Silk Road are his idea of heaven. Passionate about off-beat travel, Marley has travelled extensively in the Middle East, South East Asia and Central Asia. In ‘Life Before Silk’ he lived and worked as a renewable energy consultant in Nepal, ran some large renewable energy companies, dragged two tonnes of mobile sauna around eastern Europe several times (in the name of fun) and circumnavigated the Black Sea on a 90-cc moped with Antonia after winning the 2010 Wilderness Awards. Marley is an extremely experienced road and off-road motorcycle rider and has been leading our motorcycle expeditions in Asia for four years. 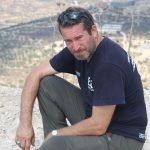 As the principle Silk Road Adventures doctor, Marley has been trained in First Aid and Trauma Medicine by the excellent team at Crux Medical, and is exceptionally good at dealing with medical problems and crises. On an expedition he is rarely far from our satellite phone and medical kit. Marley speaks once-fluent French and German and is in the process of learning Russian too. An experienced public speaker, Marley has spoken at numerous travel and adventure shows, and is also a regular contributor to Overland magazine. Antonia – often known as Ants – is a record-breaking traveller, author, public speaker and TV producer, with a background in setting up extreme and complex expeditions all over the world. She has worked and travelled in over 50 countries. During four years at The Adventurists, Antonia was a founding director of the Mongol Derby, the world’s longest multi-horse race, organised the Africa Rally from London to Cameron and nearly froze to death attempting to drive a Ural to the Russian Arctic in mid Winter. She’s written three books, including: A Short Ride in the Jungle, about her solo exploration of the remains of Indochina’s Ho Chi Minh Trail, and Land of the Dawn-lit Mountains, about her travels across the remote and little-known Indian state of Arunachal Pradesh. The latter was runner-up Adventure Travel Book of the Year in the 2018 Stanford’s Travel Writing Awards. In between travelling and writing Antonia produces TV programmes such as the BBC’s Worlds’ Most Dangerous Roads, ITV’s Tom Hardy’s Poaching Wars, Joanna Lumley’s India and Joanna Lumley’s Silk Road. 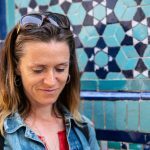 She’s spoken at The Royal Geographical Society, the Adventure Travel Show and many more and writes for numerous magazines, including Geographical, Wanderlust, National Geographic Traveller, Overland Journal and Ride. Antonia speaks conversational Russian, some French and a smattering of Mongolian when she’s had a vodka or two. To find out more about Antonia see her website The Itinerant or find her on Twitter and Instagram @AntsBK. Tina is in charge of our customer service and adminstration. Fluent in German, Swiss German, French and English, she also speaks excellent Italian and Spanish! 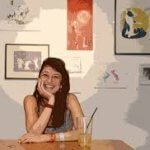 Also a talented illustrator, artist and animator, Tina brings lots of new skills to our team. Calm under pressure and always thinking of how best to hone our offerings to suit each individual guest, Tina is an indispensable part of the Silk Road Adventures team. You can find more about our approach to responsible tourism by clicking here. This humble creature has for centuries been at the heart of sericulture, the industry of silk production. The cocoons are the raw silk which is then washed and spun to make the threads that created the flow and flux of trades and people on what became the Silk Road, from China to Rome and beyond. We have chosen the outline of the silk moth to be our logo and it reminds us of the roots of the roads we travel. To find our more about the Silk Road, have a look here.